Delayed onset muscle soreness, commonly known as DOMS, is something that athletes of all levels experience. 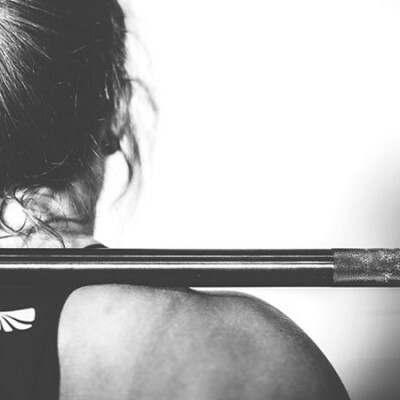 From elite runners to amateur Sunday league football players, DOMS happen when microtears occur in our muscle fibres, often manifesting after exercise you’re not used to, causing stiffness and soreness. It could be that your shoulders feel stiff after a rugby match, your legs are aching after a hard gym session or your dominant arm is feeling the effects of a tennis match – DOMS can be experienced all over the body. Some people like the feeling of DOMS – it can be a sign that you’re challenging your body in a new way, however that doesn’t stop them from being painful! 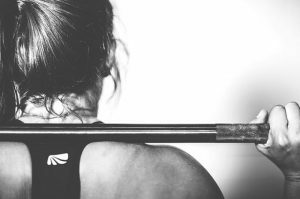 The more your body gets used to an exercise, the less likely you are to experience DOMS, however there are ways you can prevent, reduce and treat delayed onset muscle soreness. How can you tell if you have DOMS? How long do DOMS last for? DOMS are only temporary and should go within two to four days. Different muscles take longer to recover, so it could be that your hamstrings feel back to normal by the second day, but your chest and arms still feel stiff a day later. When you are experiencing DOMS, it is important to allow your body to recover before you work that muscle again. Your muscles fibres need time to heal during the recovery phase, which will allow them to come back stronger than they were before if done correctly. So, can you train with DOMS? The simple answer is yes, but it’s a good idea to train a different muscle group. Legs generally recover fairly quickly, which means you can split your training to focus on these muscles twice a week, while you may only be able to focus on your arm muscles once a week as they take longer to recover. If you are experiencing legs DOMS for instance, opt for an upper body workout to ensure your leg muscles can fully recover before being worked again, allowing you to work one muscle group while resting another. Schedule 10 – 15 minutes before and after exercise to warm up and cool down. This will help your muscles to prepare for exercise. Stretches, mobility, and muscle activation will prepare your body for the more intense exercise to come. Take it slow. If you’re new to a sport or exercise, taking it slowly and building up the intensity will allow your body to adjust and get used to the new exercise. If you’ve done an exercise numerous times before but have taken a break from it, it is also a good idea to take it slow. Hiring a coach or trainer that can guide you with reps, weights, distance or drills will ensure you progress safely. Eat well – nutrition for exercise is hugely important. Ensure you are eating enough food in general and specifically, protein and carbohydrates to allow for muscle repair and regrowth. Also, make sure you are drinking plenty of water on a daily basis. An active person should aim for 3 litres a day to ensure you are sufficiently hydrated. Foam rolling. A form of myofascial release, foam rolling can help free up fascia and loosen tight, sore muscles. Get a sports massage. 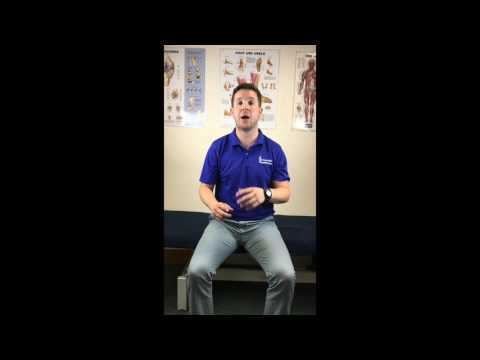 A more advanced and effective method of myofascial release than foam rolling, it involves a range of various techniques that can help increase your mobility, aid recovery and ease your stiffness. Wear compression clothing. Opting for compression leggings or sleeves can help aid recovery and ease your soreness by helping to remove lactate from muscles. If you are an avid gym goer, it is really important to plan in rest days to recover. However, they don’t have to be completely inactive days, in fact, a bit of active recovery such us walking, leisurely swimming or other low-intensity exercises will get the blood pumping and muscles moving, easing muscle stiffness. It’s important to understand when soreness is more than DOMS. If your muscle soreness lasts for more than 4 days without easing, it could be a more serious injury that should be looked at. Book an appointment with a physiotherapist if you are experiencing prolonged pain following exercise, and we can offer you a full assessment and treatment plan to get you on the road to recovery.